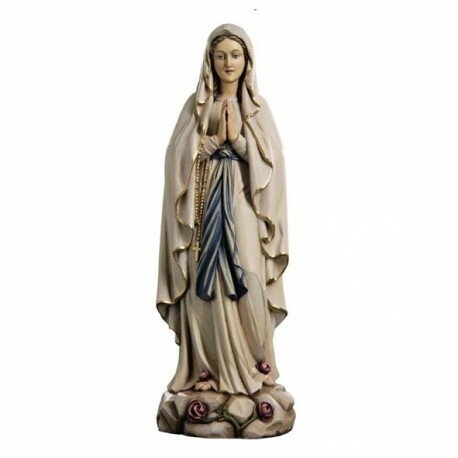 Virgin of Lourdes wooden statue, handmade in Italy. 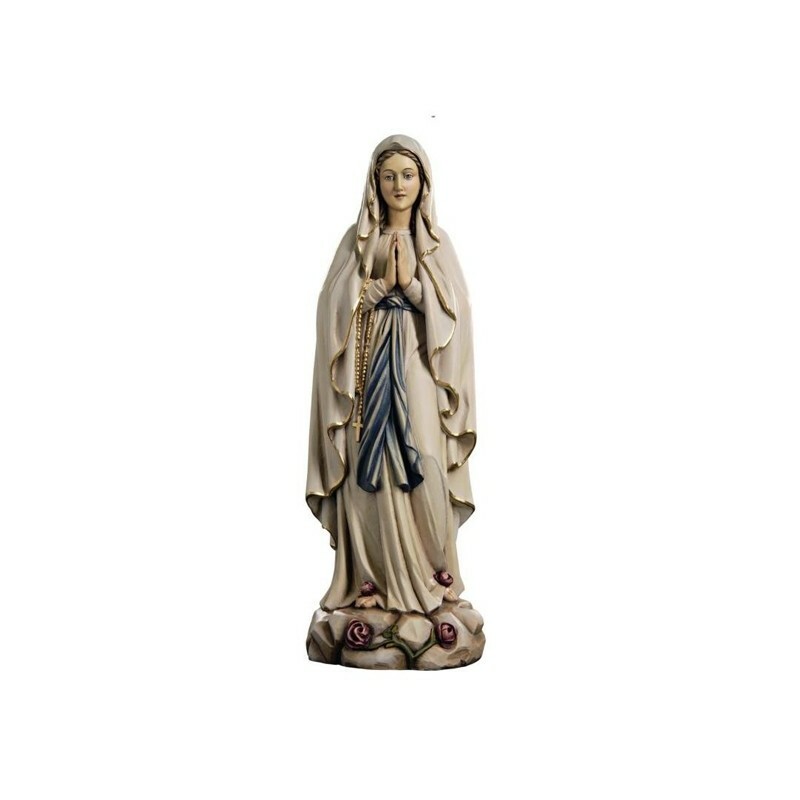 Wooden statue of the Virgin of Lourdes, handmade in Italy. Virgin of Lourdes statue, in carved lime wood, handpainted with oil colors, to show the wood’s vains and brightness. Available in various dimensions. Our Lady of Lourdes or the Virgin of Lourdes is one of the most venerated marian apparitions. The name derives from the French village Lourdes, where between the 11 of February 1858 and the 16 of July 1858, the young countrywoman Bernadette saw in a cavern 18 apparitions of a “beautiful lady”. After the first apparition she said “I saw a lady who was wearing a white clothing, a white veil, a blue belt and with a yellow rose at her foot”. This image of the Virgin entered the classical iconography and the statue in the cavern is a perfect reproduction. In 1864, in the place where Bernadette had the apparitions, it was set the Virgin’s statue. Thanks to the apparitions, the cavern became a destination for milions of pilgrims. More than 7000000 pilgrims visited Lourdes. The visit to the Shrine is associated to the hope to reach miracoulous healings. The “miracoulous healings” are copious, but only a part is valid, after many investigations which could last many years. Are about 70 the valid healings for Church.